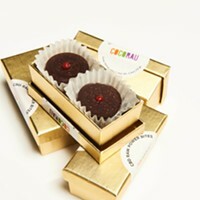 CBD seems to be everywhere, soothing the achy feet of a star on Oscar Night, enlivening a new pineapple ice cream in Madison, Wisconsin, popping up in dog treats, macha lattes, and sparkling waters. But for now, at least, you won’t be finding CBD-infused food products at New York eateries. “We never even got started,” says Frank Cordaro, chef/owner of La Deliziosa Italian Pastry Shop, a landmark in Poughkeepsie’s Mount Carmel district. 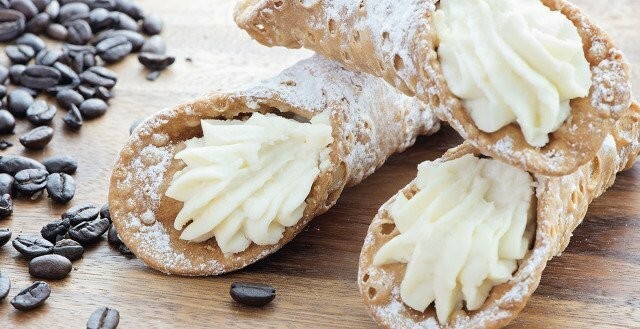 “We had planned to do CBD-infused cannolis for Valentine’s Day.” Cordaro had been working closely with state senator Sue Serino’s office to stay abreast of the legalities. Three days before the cannabidiol cannolis were due to debut, Serino’s office told him he’d better hold off. To some extent, the cannabinoid—one of over 120 such compounds that occur in nature—may be a victim of its own success. Non-euphoric and mildly soothing, CBD can be extracted from industrial hemp, all parts of which were legalized under the 2018 Farm Bill signed into law last September. Cannabidiol, approved last June as a treatment for epilepsy sold by GW Pharmaceuticals under the brand name Epidolux, fell under a rule that says a compound approved as a drug may not be used as a food additive. 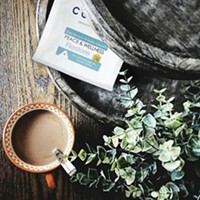 Anecdotal evidence and a growing body of research suggests that CBD may well have therapeutic value in treating a long list of conditions, including but not limited to pain, anxiety, nausea, and inflammation. Word spread of CBD’s possibilities before US hemp got the official nod, and CBD products of all sorts hit the market with a vengeance; some states saw the non-intoxicating variant as the solution to the moral dilemma of keeping citizens from becoming mildly euphoric while allowing them to treat nausea and chronic pain. 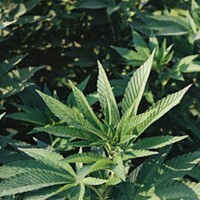 Hemp-derived CBD products manufactured in China and elsewhere flooded the US market as the buzz began to grow, and testing of some of those products has revealed a plethora of shenanigans, from products that contain outright toxins (hemp planted in contaminated soil for purposes of phytoremediation stores heavy metals, and should not be consumed) to others that don’t deliver a therapeutic dose of CBD or any at all. CBD oil and tincture is legal to purchase, but it’s wise to do so from a company with high production standards and transparency. Do your homework, ‘cause this stuff costs a few bucks. Presently, the DEA classifies marijuana in the same category with LSD and heroin as a Schedule 1 narcotic, which is defined as having high abuse potential, no medical use, and severe safety concerns. Per federal drug laws, this class of drug is very difficult to study, making CBD's path to legalization, despite the fact that hemp is not currently classified as Schedule 1 narcotic, as a food-safe product potentially tricky. FDA Commissioner Scott Gottlieb told a House subcommittee at a February 27 hearing that he understands that Congress “wants CBD to be available,” and that his agency will be fast-tracking hemp-derived CBD regulations, getting together with a working group of experts and hearing from stakeholders at a planned April meeting in the interest of finding a path forward.